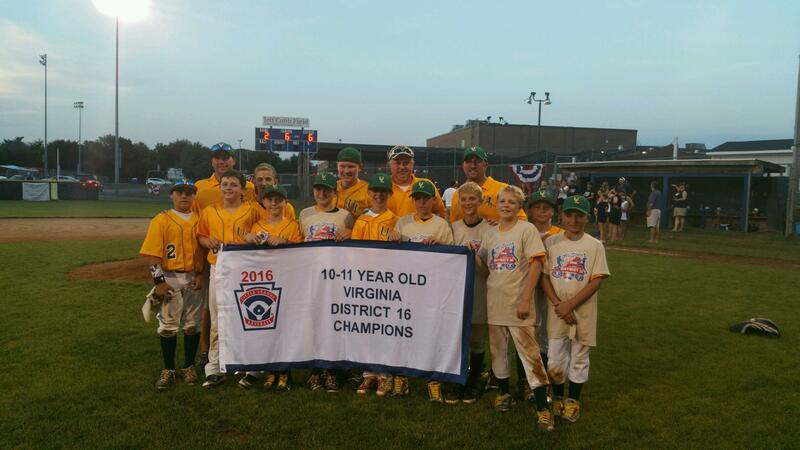 Congratulations to Upper Loudoun Little League National, your VA District 16 10-11 Year-Old Baseball Champions! ULLLN will represent our district at the Virginia State 10-11 Year-Old Baseball Tournament in Honaker starting July 15. Hosted by Lower Loudoun Little League at Cobb Field and Pioneer Field in Sterling. The Tournament Director is Hillary McGrath. All days with and without scheduled games, including Sundays and July 4, may be used for completing postponed or suspended games. Times, locations, and schedules may be adjusted due to weather or other issues. Please plan accordingly.